In 2009, Eric Telchin noticed a heart in a pool of melted ice cream, and hearts have followed him ever since. He launched boyseeshearts.com as a forum to share his "found" hearts, and an Internet phenomenon was born. This enticing book pairs Eric's photography with short, poignant text to create the ultimate gift for anyone looking to lend, mend, or charm a heart. The simple message of being open to seeing hearts and finding love is one that will resonate with readers of all ages. 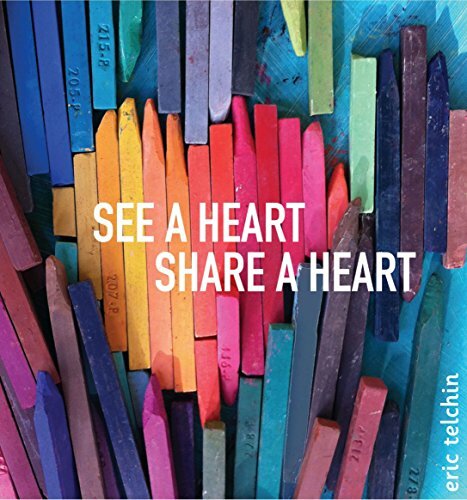 Anyone can see hearts; it's just a matter of remembering to look for them. If you have any questions about this product by Dial Books, contact us by completing and submitting the form below. If you are looking for a specif part number, please include it with your message.